Simplicity = beauty. 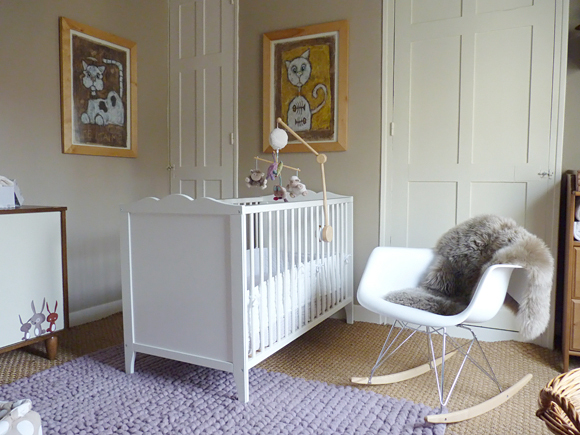 White walls and natural furniture in white and rich brown tones is the perfect example of a gorgeous and timeless gender-neutral nursery. 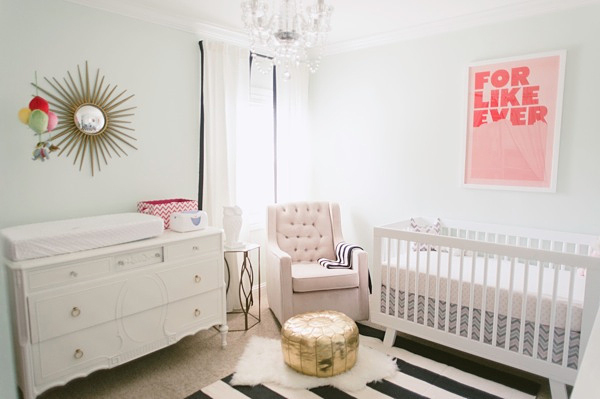 It’s very easy to personalize the space later on with any color you want – like a girly decorative pillow or art in the first picture, a bright teal glider in the second picture, or a pink blanket in the third picture. Or – you don’t have to add any gender-specific colors at all. 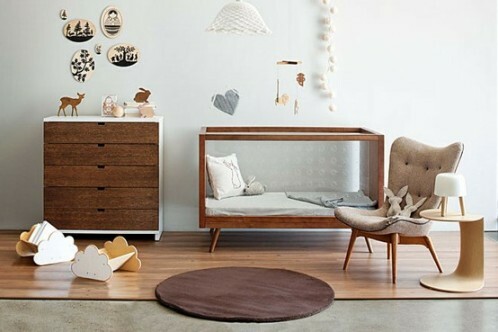 If you are not a fan of brown-toned furniture, go with grey – it’s a stylish gender-neutral color and just like the nurseries above, white & grey nurseries can be easily brightened and personalized based on your baby’s gender once the baby arrives (like they did in the fourth picture, for example). Or you can just leave it clean and simple like they did in the first picture. FYI, for those of you wondering, the first two gender-neutral nurseries became boy nurseries, and the other two became girl nurseries. And then there are people who want to avoid any kind of color and like to keep things super simple – in this case, white wall paint combined with white furniture is the way to go. 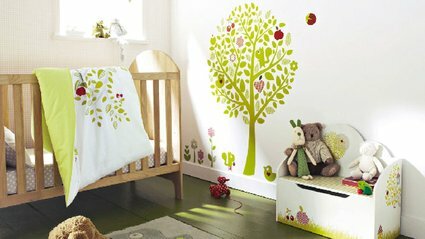 There’s nothing easier than picking the right color of art work once your little darling makes his/her appearance. Everything goes with white. 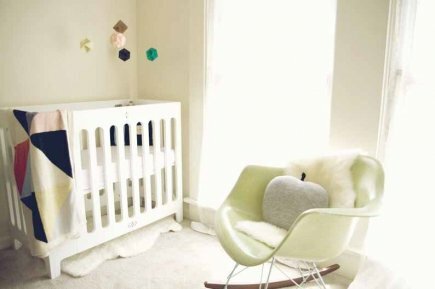 There’s another group of people who want to have the nursery 100% done, including all accessories, before their baby is born. 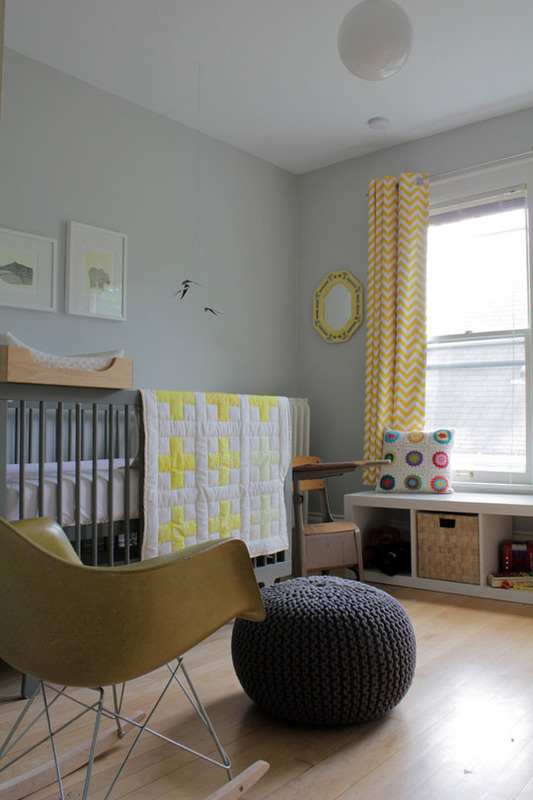 Yellow & grey is a wonderful color combination perfect for both boys and girls. So go ahead and furnish AND accessorize the room now. 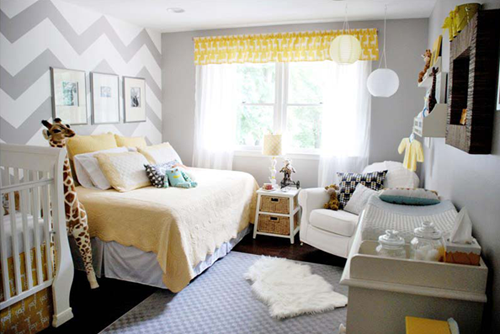 And if you feel extra creative, go ahead and play with the wall paint – chevron and triangles in various shades of grey look pretty awesome. If yellow is too mellow for you, try orange. 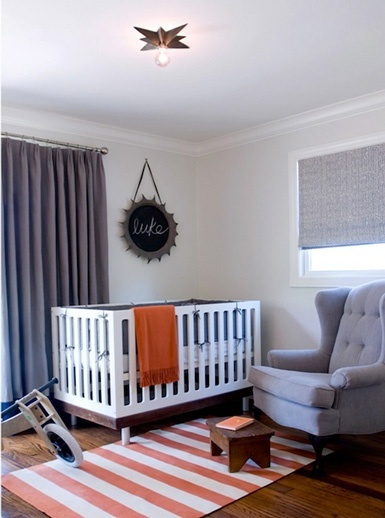 Bright orange accents look amazing with soft grey tones – you can go bold with carpets or curtains, or use orange on smaller items like decorative pillows, blankets and art. 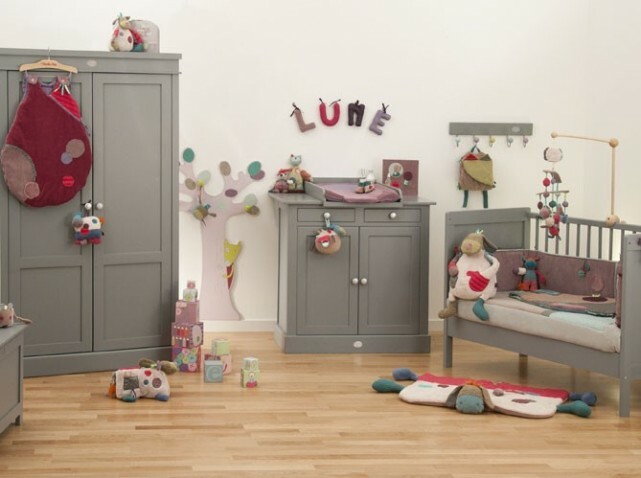 To make everything more interesting, don’t be scared to spice up your grey paint – light greenish grey or blueish grey paint colors look amazing. 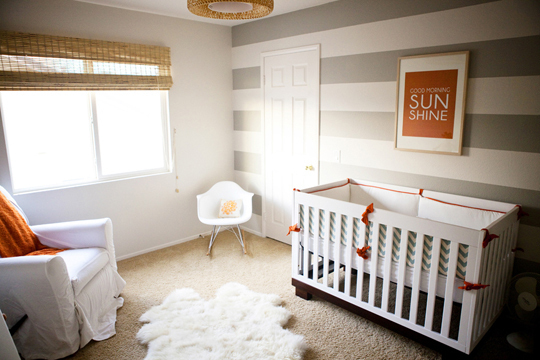 Or have fun with stripes! 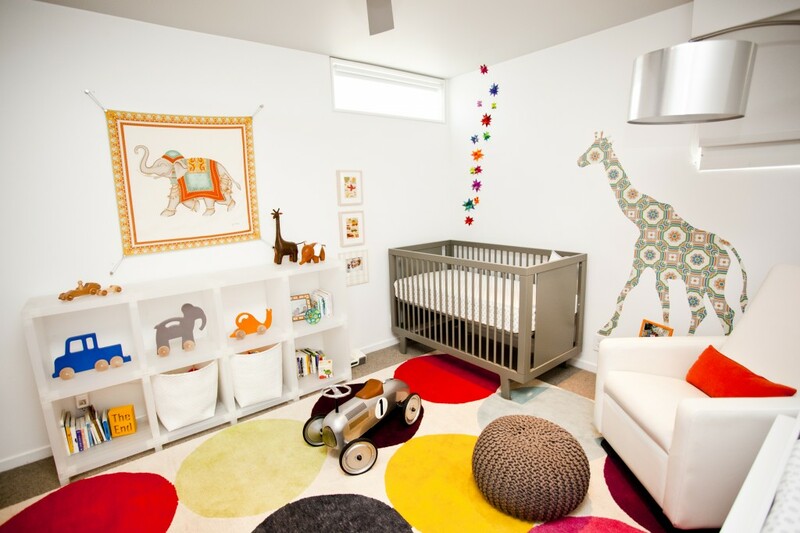 And again, the room can be ready before the baby’s arrival because these colors are great for both genders. Black-and-white is a wonderful combo which looks amazing with bright colors. Whether you dedicate the feature wall or the floor to your black-and-white combo, you will create a unique design, guaranteed. This black-and-white mushroom wallpaper looks really cool. 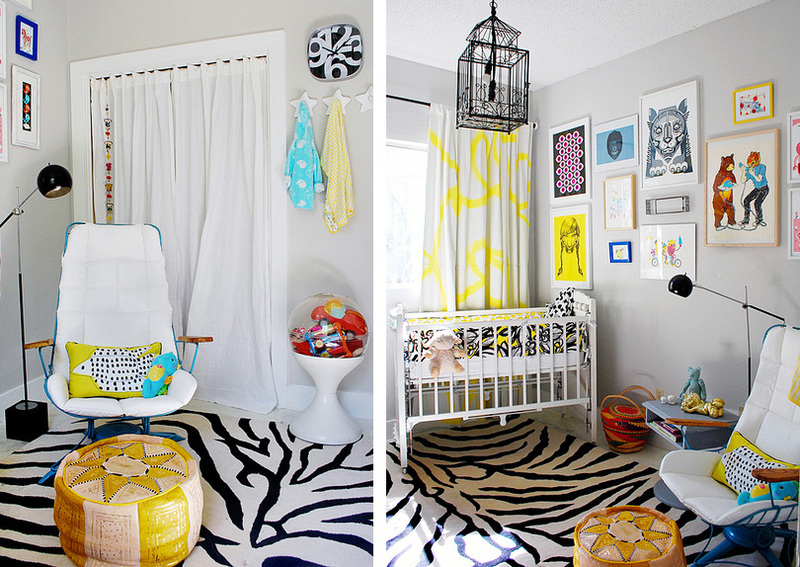 And the black-and-white zebra carpet is not bad either. They are fun and neutral and look amazing with all kinds of bright colors. 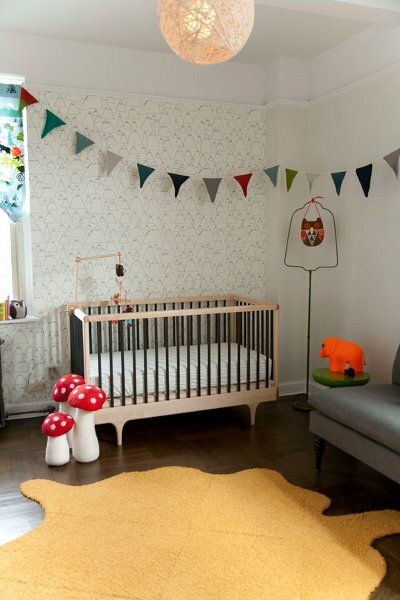 Again, a wonderful way to finish your nursery design before your baby’s arrival. Have fun and mix and match these cute accessories. 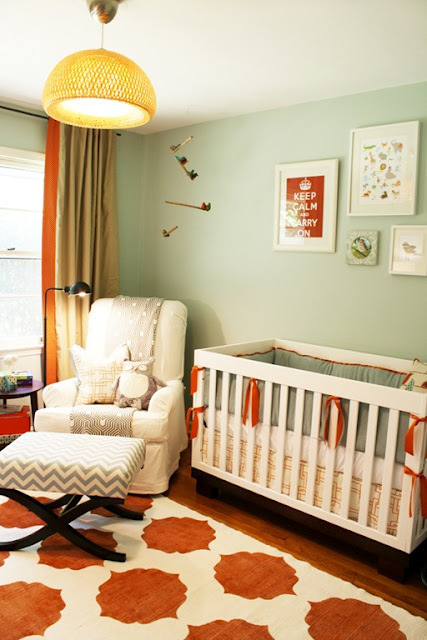 Green is a fun and cheerful gender-neutral color. 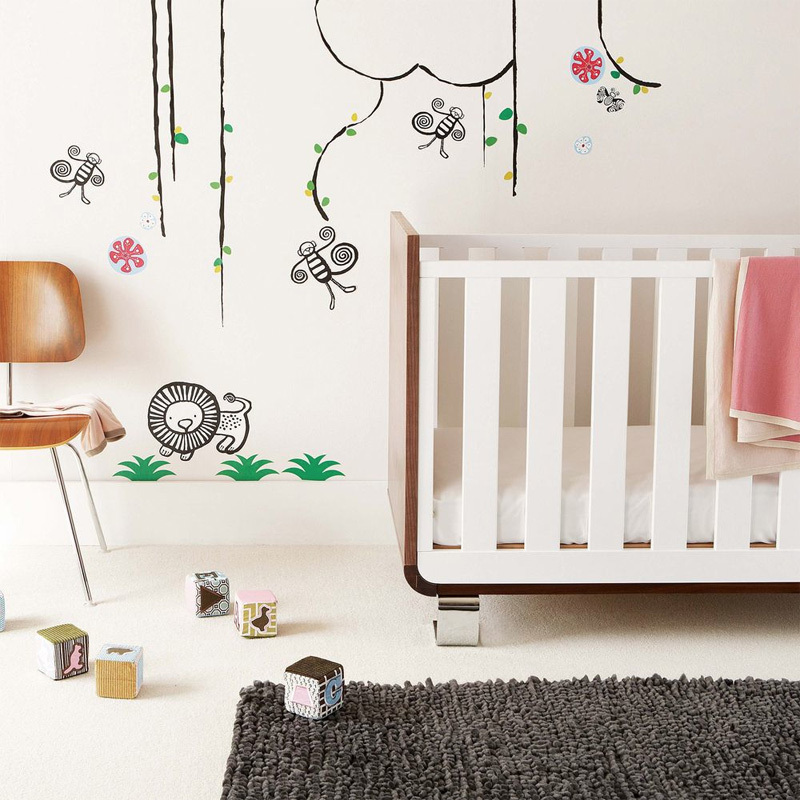 And putting a decal on a white wall adds a lot of character (and since decals are removable, you can easily replace them once you get tired of them). 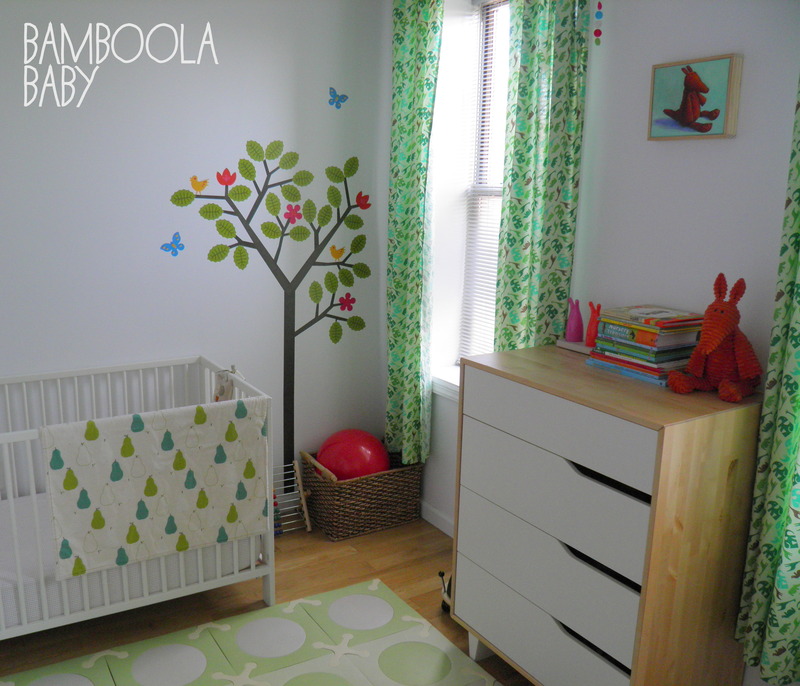 You can have your room ready before your baby arrives and it will work great for either a boy or a girl. Ours was a boy (last picture). Really nice roundup! I’m dying to find that teal glider in picture #2. Do you know where it’s from, or can you tell me where the photo is from? Thank you! Hope this helps a little. I will keep searching for it. If I find something like this one I will definitely write back. Just beautiful – so stunning especially the first image and the mid-century one. 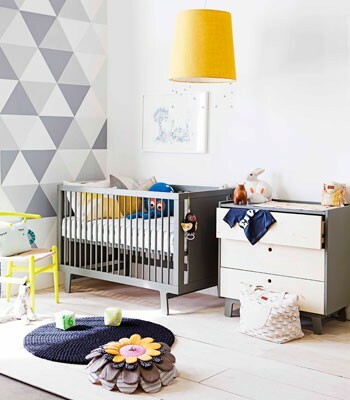 I think it’s fun to keep it neutral and add pops of colour, texture and pattern – also helps the nursery grow with the child. I think I’ll be repinning a lot of these brilliant ideas.